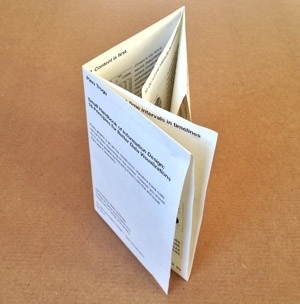 Small handbook of information design - Folded tabloid format. I made this booklet of data visualization principles for my Information Design students at San Francisco State University. You can view the booklet online here: Handbook online version and downloads. For reprints of the booklet, at the same link you can download "print-ready" PDF files for either booklet or "folded-map" format. Every graphic is an ad hoc construction, therefore these rules can be broken depending on the context. However you should try to do the graphic by following these rules first and break them later if necessary.